Eastern part of Indonesia is known to have magnificent natural landscapes that are not yet fully developed into a hectic tourist destinations. One of the best attractions here is its underwater life. Indonesia, especially the eastern part of the country, is a paradise for underwater lover as it has remarkable marine biodiversity. 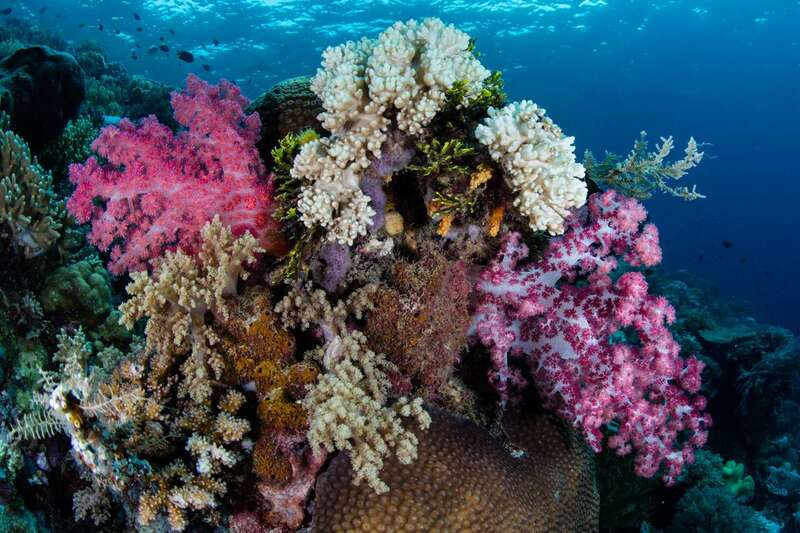 The Coral Wonders (Wakatobi, Bunaken, and Raja Ampat) are th three most prized underwater area in Indonesia. From Bunaken in the north of Sulawesi to Wakatobi to the south, until Raja Ampat at papua, these are the mecca of diving and snorkeling enthusiasts. The colorful reefs, the live wall of corals, and the gentle giants of the sea… you can find them all here, in the Coral Wonders of Indonesia. 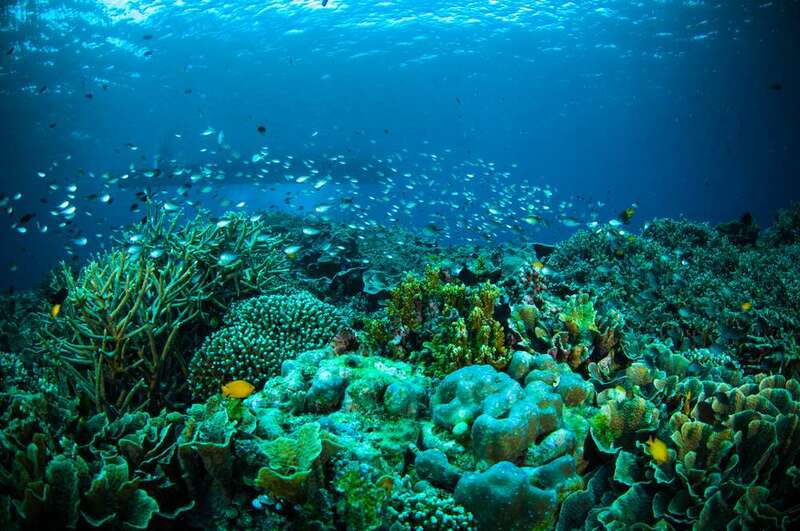 Bunaken Island is located on the Bunaken National Park, just the north of Sulawesi Island. This island offers a breathtaking diving experience with its walls of coral reefs. However, the current around this island can change very quickly and most of the most fantastic diving spots are for experienced divers. New divers are advised to dive in a more shallow spots. Still within Bunaken National Park, The cone-shaped Manado Tua Island is actually an ancient volcano. The name Manado itself comes from Minahasan Language which means ‘on the far coast’. It is climbable but can be very hot during midday. This island is where most of the biggest fish are located. Giant trevally, barracuda, snappers, eagle rays, Napoleon wrasse, and many more. Alternatively, you can also hike this mountain to get a better view of the park. Siladen Island is small, even by the standard of the park. However, it has one of the best accommodation within the park, with resorts and spas. 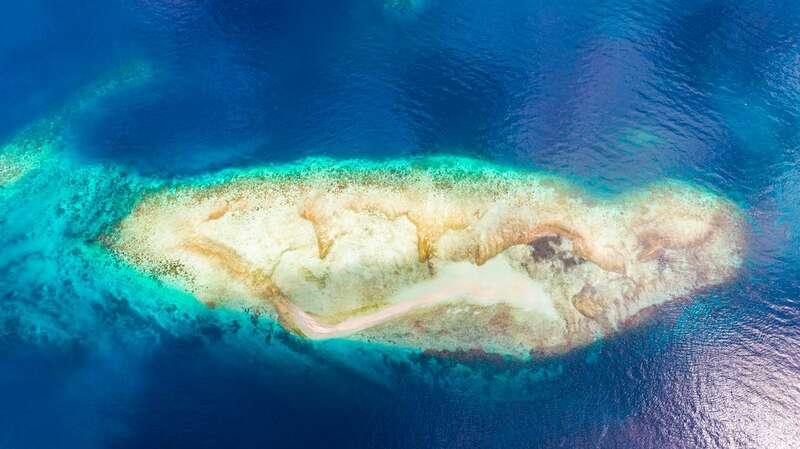 The island is encircled by shallow reef before dropping off to form a wall of coral. 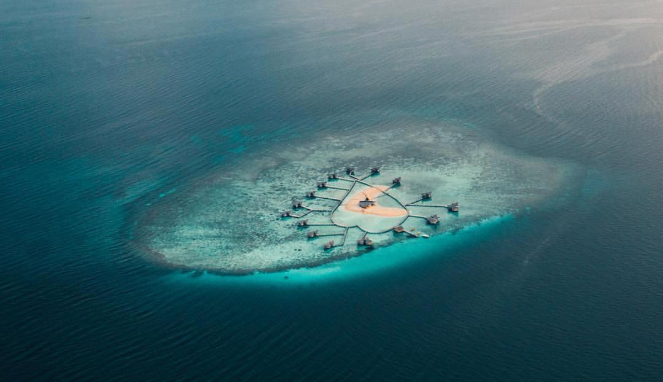 The shallow area are wide enough for casual diving and snorkeling. If you don’t bring your own, you can even rent snorkeling and diving equipment here. 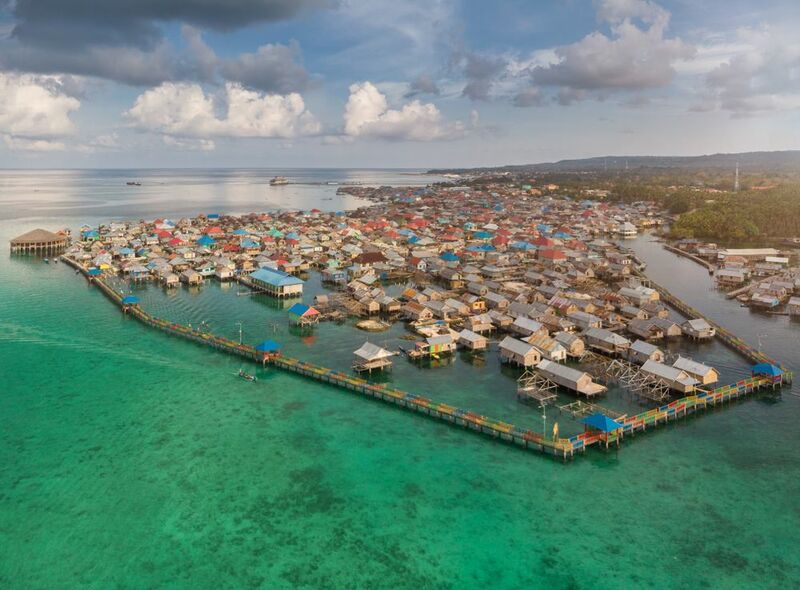 Wakatobi is a portmanteau of four biggest islands in Tukangbesi Islands; Wangi-wangi, Kaledupa, Tomia, and Binongko. This national park is located on the Southeast Sulawesi Province. Wangi-wangi Island is the biggest and the main access to the whole park. Even so, it doesn’t mean that Wangi-wangi is devoid of beautiful destinations as it has lots of beautiful beaches and diving spots. It offers best accommodations compared to other part of the park. Bajo people are known to be a legendary nomadic sea-faring people who explore the ocean in Southeast Asia. There is a Bajo Sampela village where three thousand Bajo people live. Bajo people still hunt fish in a traditional way using spears. This island is otherwise a serene place, protected by mangrove forest. Diving spots around the island are abundant and there are also some wonderful beaches with white sand. Tomia Island has more than 40 diving spots, the most at the park. 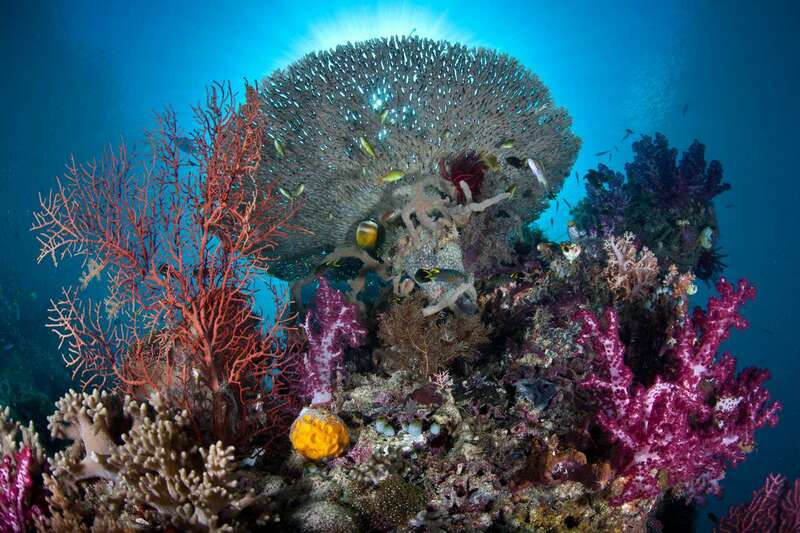 Its world famous Roma’s reef presents a challenging and yet rewarding diving experience. The reef is a bustling underwater city with Giant Trevallies, sea snakes, colorful fish, and turtles. All live harmoniously, creating an unreal natural synchronization. Above the sea level, there are beautiful beaches and a Paradise Peak where you can clearly see the Milky Way during the night as there are no light pollution. Moving on to Raja Ampat, there is a unique Pasir Timbul, literally means emerging sands. There is a spectacular daily miracle happening here, as some white sand bars emerges from the ocean at the low tide and submerges during high tide. These sand bars are as wonderful as it can be, just like beaches in the middle of the ocean. The only drawback is that you can’t easily reach this spot. On the other hand, that also make this shoal empty most days so that you can enjoy it at its fullest. 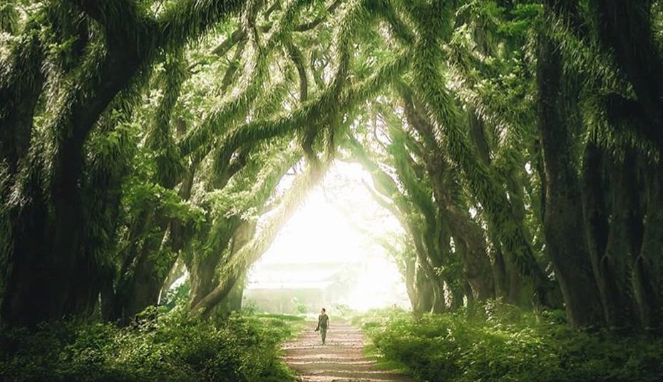 Presented with beautiful scenes, sometimes you just feel the need to have a better view to enjoy things more completely. That is where this vantage points in Raja Ampat comes in handy. When you come to Pianemo by boat, you might wonder what these small islands look like from above. You can do that by hiking a bit to see the overall panorama of the islands. Wayag Island also have similar vantage points, as well as Harfat Jaya Peak at Misool Island. Most Raja Ampat visitor come for the ultimate diving experience. This place delivers, and give them even more. There are so many diving spots at the region, all with their own unique features. Diving spots in Misool Island is generally an explosion of colors, with mesmerizing corals and smaller critters. In Waigeo, the diving spots offer more fish species, including angelfish, lionfish, and clownfish between anemones. If you dive in Mansuar, you’ll most likely will be greeted by mantas and turtles. 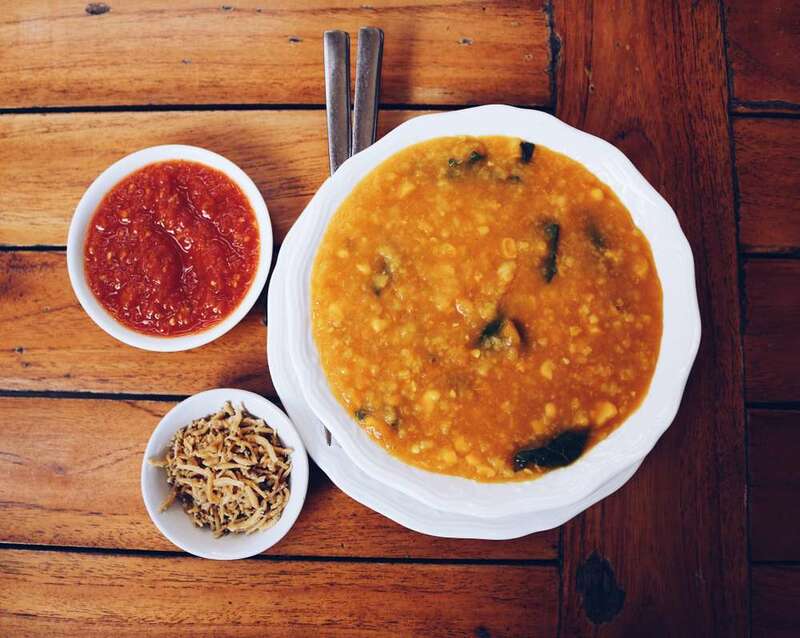 The Tinutuan, known all across Indonesia as Manadonese Porridge is a staple food in North Sulawesi. Tinutuan is basically a congee made from rice, sweet potato or cassava, pumpkin that is cooked into pulp. Vegetables like lemon basil, water spinach, or amaranth are added with corn kernels. There are also side dish like fried shallots, fried tofu, leeks, or fish. 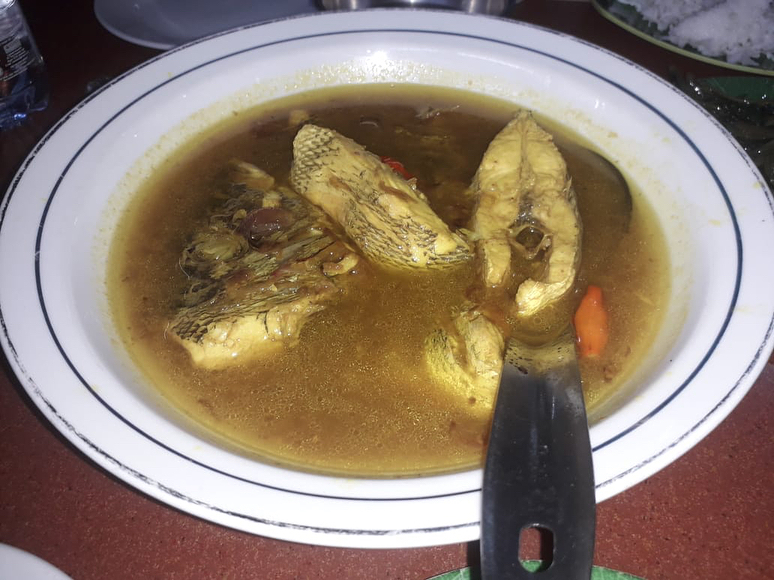 Parende is traditionally only served during special occasions in Wakatobi. It is basically a fish soup made from freshly caught fish. The soup is made with sautéed lemongrass, turmeric, onions, and chili. Parende is rather similar to Tom Yam. Parende is usually eaten along with kasuami. Parende can be found in many warungs near the beaches of Wakatobi. All three destinations (Bunaken, Wakatobi, and Raja Ampat) are not accessible overland from any main island in Indonesia. By Air. 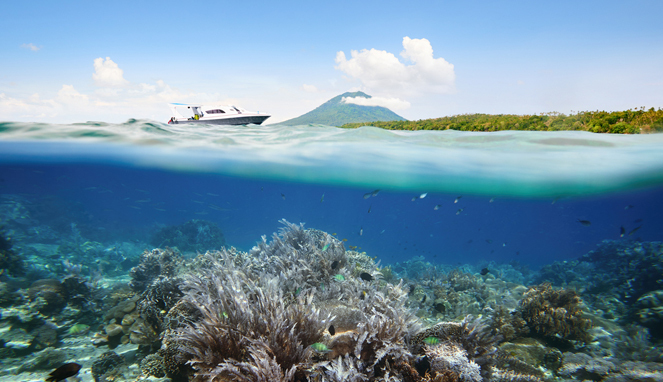 Bunaken is easily accessible by air because of its proximity with Sam Ratulangi International Airport in Manado. From the airport, you can go on land to the port of Manado before continuing with boat to the island of your choice. In Wakatobi, Matahora Airport is served with flight from Makassar and Kendari. Makassar is connected to nearly all big cities in Indonesia. Marinda Airport in Waisai is the only airstrip in the regency, it only served by small plane flights from Sorong’s Domine Aduard Osok Airport. Sorong is connected to Jakarta, Makassar, and Singapore. By Sea. 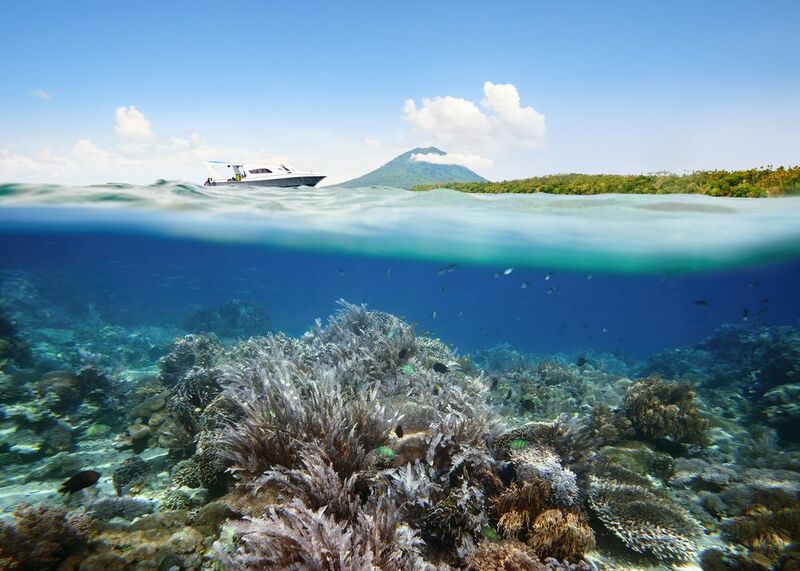 Bunaken is very easily accessed from one of Manado’s harbor by motor boat. Ferries from Manado to Bunaken Island leave daily, usually at 02:00 PM. Wakatobi. There are regular departure and arrival at Wanci Port in Wangi-wangi Island to Bau-bau, Kendari, and sometimes also Makassar. Waha Port in Tomia is connected to Bau-bau, so is Buranga Port in Kaledupa Island. 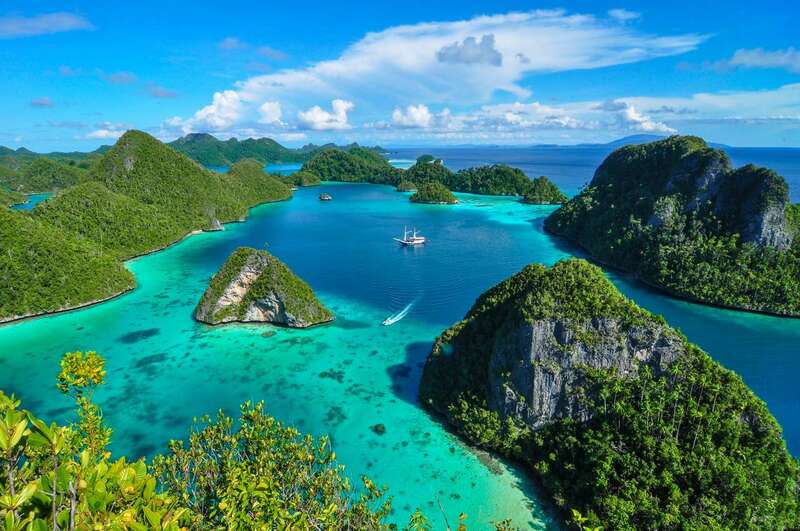 Raja Ampat. Wasai harbor is connected to Sorong with daily ferry schedules. Some of the ferries might stop in several smaller harbors like Misool’s 35, Foley, Yellu & Fafanlap harbours. Getting around the Coral Wonders might be a bit difficult since there is no overland road connecting these islands. You can only hop from one island to another in Bunaken, Wakatob, or Raja Ampat by boats. You can hike the volcano on the Manado Tua Island. You can enjoy the lovely little Siladen Island and its amenities. After that, you can go to Mantehage Island, the biggest island in Bunaken National Park and enjoy the idyllic and lovely atmosphere. Diving in Bunaken Island is a must when you visit this park, but make sure that you pick a diving spot that is within your diving skills. In Wakatobi, explorations pretty much happens in a similar way, only the number of the islands is higher. Going to Cape Kapota in Wangi-wangi Island, dubbed as the dolphin’s playground, is a good start. 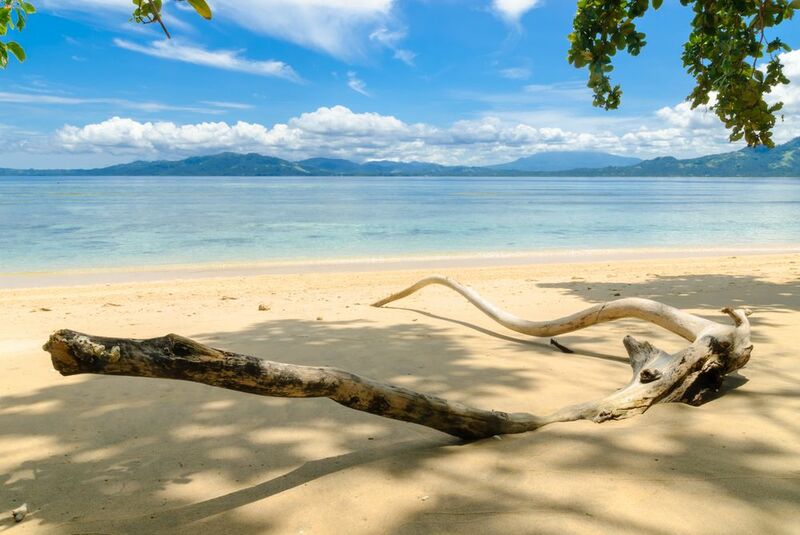 Hoga Island is a secluded heaven where you can snorkel, dive, or enjoy the white sandy beaches. Light hiking is possible in Tomia Island with its Kahyangan Summit. You also can learn about Bajo culture in many island, including Binongko Island. 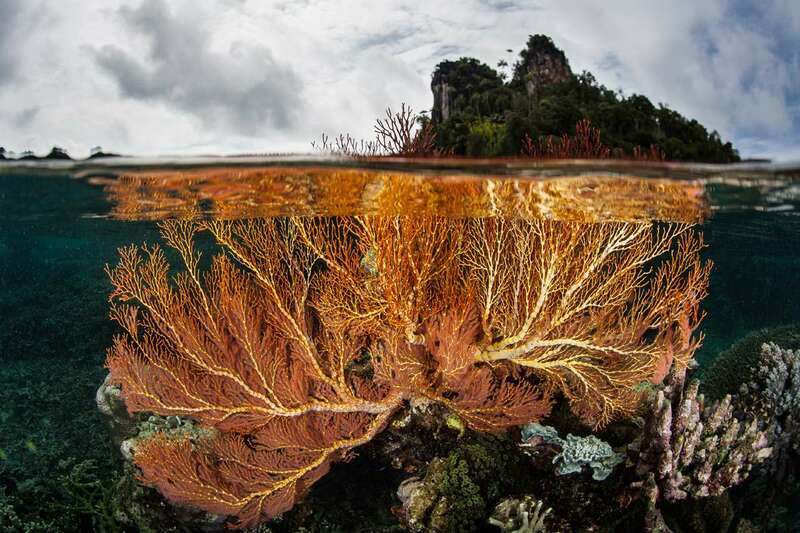 Raja Ampat is even more complicated to explore. Waisai is a definite starting point but you really have to choose to enjoy which part of Raja Ampat that you want to visit. You can go to the popular destinations like Misool, Waigeo, Wayag, and Painemo to dive. You can also go to the vanishing sand of Pasir Timbul. 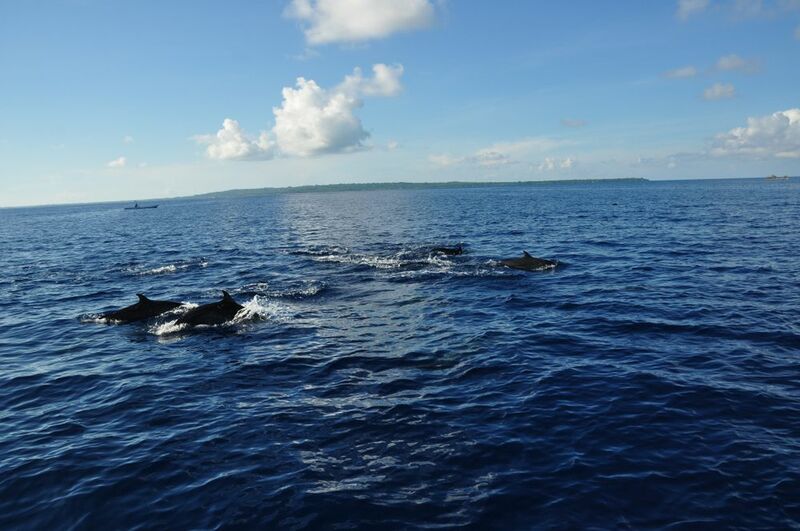 For Raja Amapat and Wakatobi, there is a convenient way to enjoy most of the attractions there. You can hop on a liveaboard yacht that will take you to the destinations that you pick. You basically live on a ship that take you to the best spots on the islands. Living Colours Diving Resort – Pantai Pangalisang, Pulau Bunaken, Bunaken Kepulauan, Manado City, North Sulawesi – From IDR1,850,000. 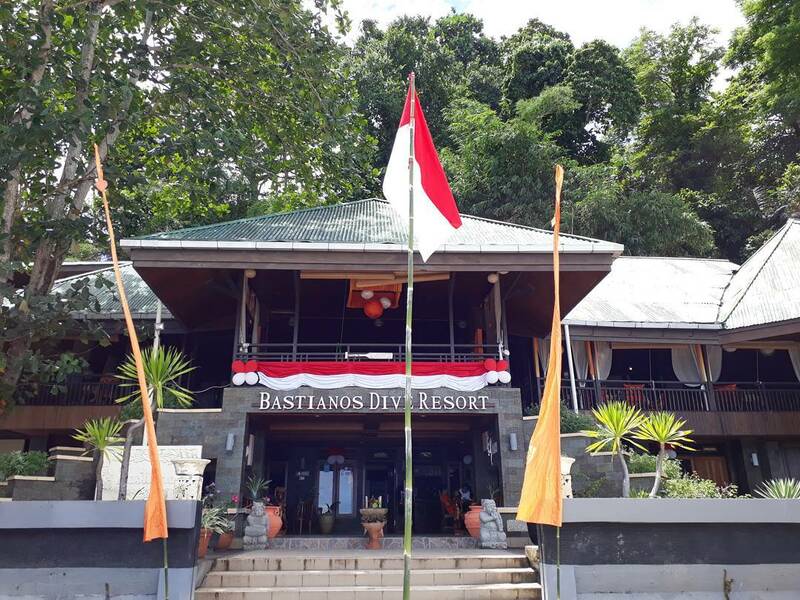 Bastianos Bunaken dive Resort – Liang Beach, Bunaken Island, Bunaken, Bunaken Kepulauan, Kota Manado, Sulawesi Utara – From IDR1,452,129. Froggies Divers Bunaken – JL Pulau Bunaken, Bunaken, Bunaken Kepulauan, Kota Manado, Sulawesi Utara – From 1,790,000. Raja Ampat Dive Lodge – Desa Kurkapa, Suandarek, Kecamatan Meos Mansar, Pulau Mansuar, Sauandarek, Meos Mansar, Kabupaten Raja Ampat, Papua Barat – From IDR3,256,000. Waiwo Dive Resort – Jl. 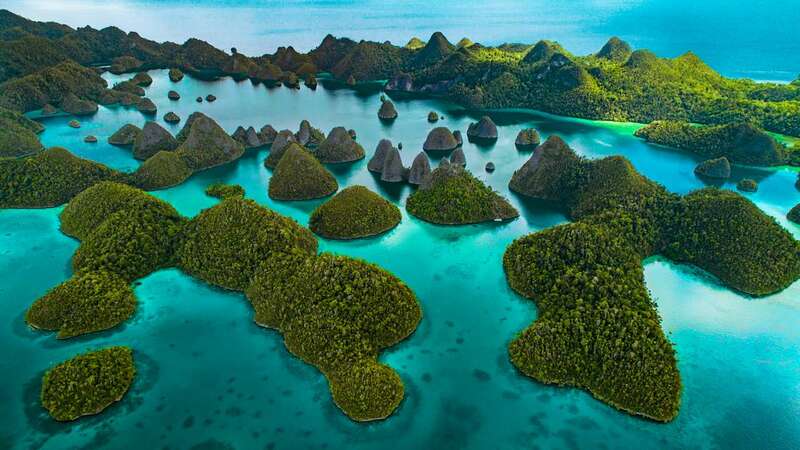 Marinda – Waiwo, Waisai, Kota Waisai, Kabupaten Raja Ampat, Papua Barat – From IDR3,591,857.